If you have been lucky enough to join us on a globetrotting adventure anywhere in the world, you would know that following your holiday we ask globetrotters to fill out a feedback form to share with us any comments or recommendations about your experience. 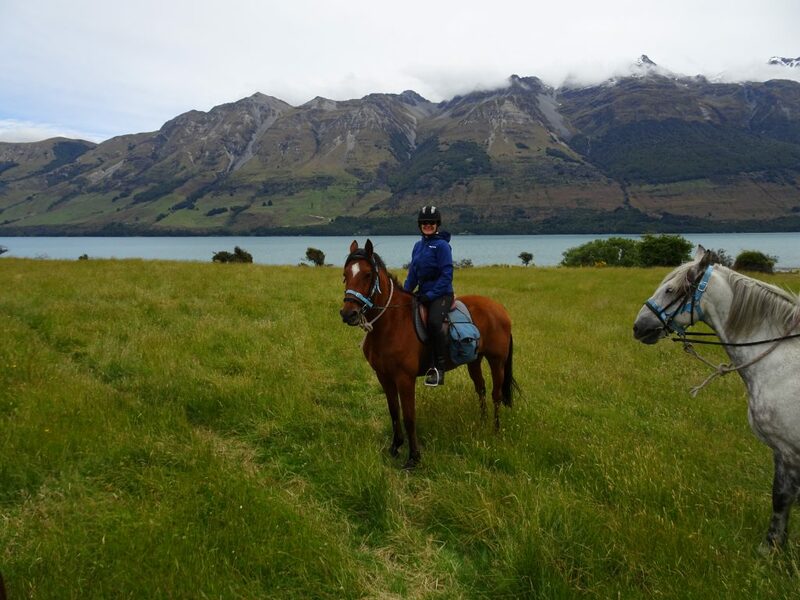 Well, when we received Margie Baldock’s form about her time in New Zealand on the Glenorchy Back Country Ride, we decided it was too good not to share with our entire tribe. So if you are a little bit cautious or hesitant about booking a saddle seat on this ride, or even if you just want to find out more about it, you should definitely read this. As we say, it comes straight from the horse’s mouth (or so to speak). It was a group of experienced riders, which meant that we got to canter and gallop and explore the environment to an advanced level. That made it very enjoyable. The care of the hosts was world-class. My horse was named Star – a locally bred horse who was like a mountain goat, bred perfectly for the challenging terrain. Star was sure-footed at all times and eager to enjoy the journey with curiosity and vigour. Star was delightfully willing and at all times an easy-going (yet super fast and capable) horse. Star was extremely easy to ride as he listened and responded the first time, every time. He was a kind and generous soul and I enjoyed every minute with him. Star was a joy. Loved it all but galloping across the flats and up the mountain and then galloping again down on the flats home, all on the second last day, was my highlight. Total bliss! Absolutely – they taught us a lot about New Zealand, the local environment and history, and also about the horses (as breeds and as individuals). They were all very competent riders who made us feel safe to explore the stunning and challenging terrain. Excellent. Just DO IT! It is physically challenging – the terrain and sleeping out in tents on some nights BUT worth it! Are there any other services or inclusions you would like to see added to this itinerary? No, just remind Alpine Camping virgins like me to sleep on their socks and jodphurs (to avoid icicles in them in the morning). And also tell Aussies how to use a hot water bottle for sleeping (warms your toes on cold nights). Some knew about these things but I was ignorant. These small touches would have transformed the two nights sleeping out in the mountains in the tents (which were otherwise very comfy). Kate gave excellent details prior to the trip. The Glenorchy team were highly professional and friendly and could not have been more hospitable. The entire experience was a joy from start to finish – the scenery is beyond words and must be experienced. The horses were forward and willing, yet safe and sure-footed. I never felt scared for a nanosecond in spite of getting to experience some challenging off-track terrain and some high-speed adventures. I cannot recommend this ride enough for intermediate + riders who want to really see what horses can do! I cannot recommend the NZ Glenorchy High Country ride more highly. The horses are forward and eager for adventure, yet safe and sure-footed. The landscape is mind-blowing and words cannot explain how majestic every minute of this experience really is. The horses are brilliant, the hosts are generous and knowledgeable, and the itinerary is fun yet challenging and allows intermediate-plus horse riders to challenge themselves and enjoy experiences most riders rarely get to enjoy (experiences such as galloping across sweeping plains and up alpine mountains – it’s just breathtakingly fun)! All I can say is…GO FOR IT! You won’t regret it! 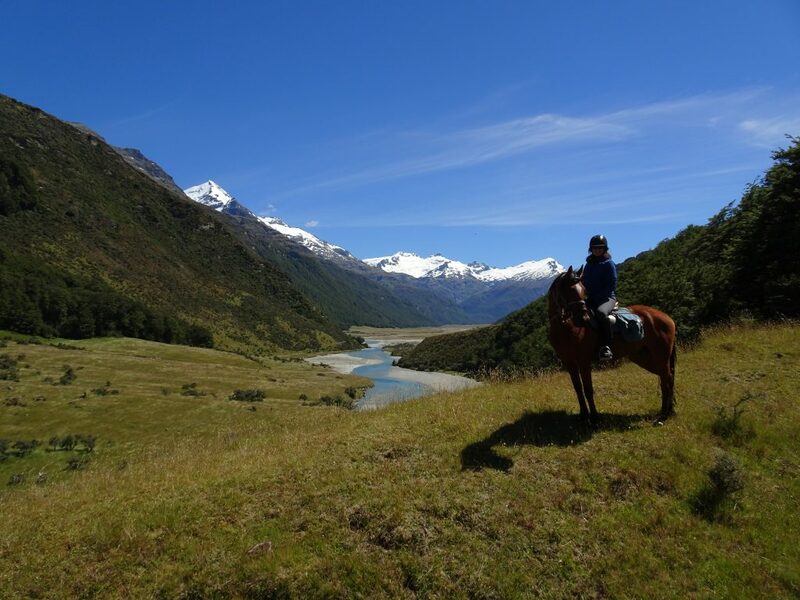 Some truly wonderful words from Margie Baldock, and if you want to find out more about the Glenorchy Back Country Ride click here!